What does it mean to be a travel writer? We sit down with New York Times contributor Tim Neville to find out. How did you break into the travel writing industry? Did you have a mentor early in your career? For me, the two parts — travel and writing — evolved separately. First came travel. I went to France for ten days when I was 16, which led to year in Switzerland as an exchange student. I then spent a year abroad in Germany, which led to ten months of backpacking around Peru and Bolivia. Somewhere in there I began writing for my university newspaper and then for a local newspaper in Montana as a government reporter. My first of many “big breaks” came when Outside magazine hired me as an intern. There I came face to face with incredibly smart editors who taught me how the business works and how to be a better writer. This mentorship program is a way for me to return the favors that changed my life. What are the biggest misconceptions about the travel writing profession? How is travel writing different from other kinds of writing? I think most people who seriously consider becoming a travel writer understand that it is a job and not one big holiday. If you’re doing the craft justice, you’ll probably be exhausted at the end of your trip and see “home” as your favorite place to go on vacation. Then comes the truly hard part—the writing, the revising, the waves of head-banging frustration—followed by the elation that only comes from putting your soul out there and knowing you have done the job well. On the flip side, travel writing is far more flexible than other forms of non-fiction writing. You’re not limited to reporting only the hard, verifiable facts. You need facts, and lots of really captivating ones, but the best travel writing also includes some subtle statement about who we are as humans and how to make the most of the precious time we have on this great big earth. You’ve worked in many different writing mediums – magazine/editorial and online. How important is it to diversify your skills and be able to write for all mediums? I don’t think it’s as important as you might think when it comes to travel writing. Why? Because magazines, newspapers, blogs, websites, iPhones, whatever, they’re all just vehicles for basically the same thing: entertainment through great story telling or a quick way to deliver lively reports from the field, for example. What’s far more important is knowing how to produce what an editor wants in a way that accomplishes whatever task the editor has assigned. In that way, it’s extremely important to know when it’s ok to riff on a subject for a few paragraphs or when to cut right to the chase. Being handy with a camera is great, no doubt, especially if you’re going to places where stock photography will be hard to get. Sign up here to stay updated about our next Travel Writing Scholarship opportunities. You’ve contributed to publications such as the New York Times and Outside magazine. What has been your most memorable assignment? Skiing in North Korea. Sailing in Antarctica. Climbing the pyramids in Egypt. Kayaking around the Galapagos under a military permit. I’ve been so incredibly lucky in that many of my assignments would qualify as “most memorable”. North Korea was obviously a showstopper. A photographer and I were among the first westerners to ski at Kim Jong Un’s luxury ski resort. It was a rather intense experience and the story ended up in Best American Travel Writing. Another assignment that literally changed my life was when the NYT asked me to write about some islands off the coast of Venezuela that to this day count among the densest collection of the most beautiful beaches I’ve ever seen. My girlfriend came down after I’d finished the job and I proposed to her on one of the deserted islands I’d scouted out earlier. I hadn’t been able to bring the actual ring so I proposed with a picture of it. She still said yes! Travel writing is considered a dream job by many. What are the best and worst parts of the job? The best might seem obvious — getting paid to travel the globe — while the worst might seem clear, too — the dismal pay. But I think it’s more complicated than that, even if both of those are true. The best part, really, is this incredible, hands-on understanding you develop about the world and its people. You start to see things at home that you would never really understand if you didn’t have this enormous library of experiences from around the world to weigh them against. The worst part is that so few other people have that kind of context and so after a while, it can get a little lonely. You also begin to question whether it’s really worth your time to go to Thailand, again, when it means missing your friend’s BBQ. The people you surround yourself with become far more important than place. Like with any job, you need balance. What characteristics do you think all good travel writers have in common? Curiosity for sure. That’s the biggest one because asking questions and being genuinely fascinated with people, history, place, the sound a fork makes against a plate, the way the market smells, the way the tombstones feel against your palm—whatever—all of those things have answers that make a story come alive. You never know how the story will unfold but if you are out there gathering details and engaging the place and reading the signs and asking silly questions, you’ll end up with the right ingredients to stitch together a wonderful tale. You can’t connect the dots if you have no dots to begin with. Travel writers are also really good thieves. They read poetry and medical texts and books on architecture to find words and descriptions that they can then fold into their own travel stories. In your opinion, what makes a great travel story? The same components that make any story a great story apply to travel writing too. You need to have a fantastic setting, a solid “mission” and enough tension to keep the story moving along in a way that isn’t contrived or meaningless. Ideally you’d have a great character in the midst of some significant change who can lead you deep into their world. It needs a beginning, a middle and an end and we need to see things change along the way. You need good, snappy dialog. Your setting doesn’t have to be exotic. It just has to come alive in your writing. Likewise, the mission doesn’t have to be a “life or death” scenario. It can be something as simple as “learn to make fondue” or “ride a bike for 100 miles” or as esoteric as “to capture the spirit of Lord Byron.” We have to believe it's a worthy mission. By the end, I want to be left with a subtle nod to something bigger than just travel. Maybe the story is really about hope or the pain of resisting change. Travel is the best education there is, so teach me through entertainment. What skills, besides travel writing, have you picked up from being on the road so much? I’m getting pretty good at finding delicious and cheap street food that won’t leave me doubled over with some awful belly bug. I’m also a fairly fast packer and learner of languages, or key phrases anyway. I can zip through airport security, of course. But the best skill of all? I can sleep anywhere at any time in almost any position. In this realm I am a champion nonpareil. I can’t remember the last time I was awake for take-off. (I can sleep right through them). Landings usually wake me up, though. Thank goodness. Where do you see the travel writing industry going? I think it’ll continue to evolve in terms of how we deliver stories — virtual reality is quickly becoming a real thing, for example — but in general I think the industry itself will continue to work to inspire people to travel more. As the planet gets more crowded, the environment continues to degrade, and the divide between the haves and have nots widens, we’re going to be hungrier than ever for travelers to tell us about the opportunities for excitement, the people and the beauty that we encounter when we plop ourselves in unfamiliar places. There will always be a need for that. Now how you actually consume that story and how someone will monetize your work will happily remain a mystery to me. I will continue to concentrate on the story part. What is your best piece of advice for aspiring travel writers? Travel and write every day. You don’t need to go to Cuba to travel. When I’m home I’ll walk to the grocery store or ride the bus — no one rides the bus in my town — just for the experience. Be curious. Don’t judge or compare. Then learn the business. Learn how to network, to market yourself and get editors to read your pitches. Put your ego in a bag and be the easiest writer to work with ever. “Of course I’ll rewrite this as you ask!” will get you far more work than “You’re killing my voice!” Remember that travel writing is a business so treat it like one. When Tim Neville was 17 years old, he moved out of his parents’ house and into a tent in the backyard, where he stayed long enough that his folks eventually gave away his room. Those five months in a leaky tent sparked an insatiable curiosity that has since carried him to more than 70 countries for countless interviews with tortured folk heroes, wily schemers, and North Korean skiers. His articles—from travel sketches to intimate portraits—are meticulously reported and delivered with telling details, thoughtful reconstruction, and spirited, often humorous storytelling. 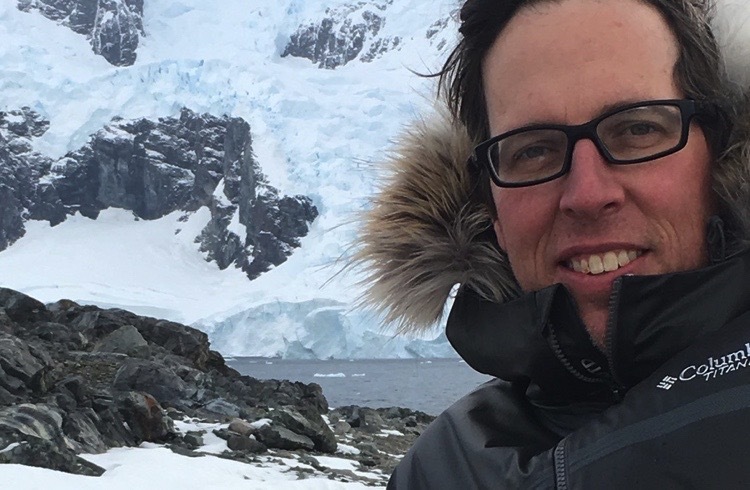 A correspondent at Outside and frequent contributor to The New York Times, Tim has scaled glaciers, scuba dived, and cycled hundreds of miles to report his stories. His work has been reproduced in The Best American Sports Writing, Best American Travel Writing, and Best Food Writing and in 2015 he was named a travel writer of the year by the Society of American Travel Writers. He lives in Oregon with his wife and daughter. Details. Quotes. Pacing. These are the key elements to any well written travel story. NY Times contributor Tim Neville unpacks how to build an enthralling narrative for any brief. Journaling is a fun and easy way to record your travels, understand your experiences, and reflect on your learnings. You don’t have to be an experienced writer to start journaling too, find out how with these tips from a nomad. What really grabs a Nat Geo editor's attention? Norie Quintos shares her advice for getting started and what she'll be looking for as one of our Travel Writing Scholarship judges.